The Hollywood Reporter recently bannered a story claiming that the movie industry is entering a “decade of chaos.” If Karl Struss, the subject of a recent four-part essay I wrote for this site, were alive, he could not have refrained from a belly laugh. As a boy, Struss began going to the movies in New York City when the nickelodeon was still a novelty. He moved to Hollywood at the end of the First World War and had worked a decade in motion pictures before the advent of sound. He shared the first Oscar awarded for cinematography with Charles Rosher. He saw early sound cameras confined to sealed booths, and then was instrumental in developing a portable blimp, and cameras were once more liberated to glide dream-like atop dollys and cranes. He witnessed the development of panchromatic b/w, two-strip, and three-strip Technicolor film (the format in which he received another Oscar nomination), and the transition of the optical printer from a purely visual effects tool into a powerful one for dramatic narrative (Citizen Kane being an example non pareil). As a victim himself of anti-German prejudice during WWI, he had a singular perspective on the cowardly back-stabbing of the McCarthy Era and the dark cynicism attendant on it as reflected in film noir. Karl Struss also witnessed the eruptive rise of TV, the reaction to it with the resurrection of 3-D feature films in the early 50s, the glorious era of new wide-gauge and widescreen formats and its elevation of David Lean and Freddie Young to near demigod status, as well as the influence of non-linear TV commercials on film style and grammar (he concluded his career photographing TV commercials). The revolution in Hollywood caused by the international New Wave’s self-referential story lines (Godard’s Contempt and Fellini’s 8 ½), the collapse of the studio system, its void filled by a generation of The Graduate and Bonnie and Clyde, "Raging Bulls and Easy Riders," as well as the self-indulgent use of both the zoom lens and the steadicam, may have tested the limits of Struss' "old school" tolerance of new technology. In his last years he returned to his negatives of early 20th century New York City to supervise a portfolio of new platinum prints. Talking to young filmmakers at his retrospective screenings, he observed the brief hegemony of the generation of film school brats (Caleb Deschanel and myself being examples) many of whose director/ writers were pushed aside by new visual effects laden action films, themselves then morphing into a virus of market driven tent-pole "event" films. 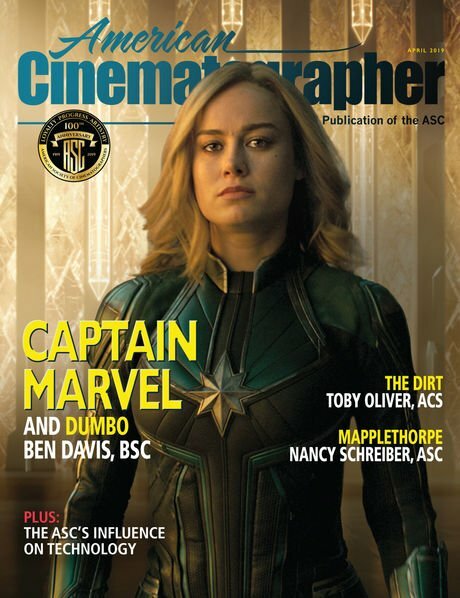 And now, one of the industry trade magazines, with barely a collective memory of last week’s box office grosses, decides to predict that this still infant decade — will be one of CHAOS. Every decade of filmmakers feels that it is at the center of a maelstrom. The simple fact is that film, being a technologically driven art form, has always been prone to sudden and disruptive changes. It is one reason there is such a huge turnover in talent, and why so many artists and technicians have shorter rather than longer careers. Yes, it is a stressful business—but the truth is, if you are looking for security and stasis, you should find another career path. This nipping at film’s heels has been more than slightly abetted by some of a generation of experienced cinematographers, hell-bent on staying inside the curve of hipdom, who have jumped into the deep end of the digital pool. The irony to this that I see, is that many of the young and emerging cinematographers who were nursed on digital video milk, now are crying to be weaned to the more solid sustenance of motion picture film. Even some directors, who have well-deserved reputations as film stylists, and who, as early adapters, embraced digital video as an auteur’s dream medium, have had to acknowledge that the extended margin of control afforded by a “what you see is what you get” digital camera, can not yet “get” the image subtlety, color, and resolution of motion picture film. Several of these veterans are returning to film for future productions. Since beginning this blog I have had a lot of communication with young cinematographers and filmmakers, digitally savvy and cognizant of all of digital video’s potential, who, nonetheless, want nothing more than to shoot movies on film. Even more surprising, many of them have expressed a passionate interest in working in the anamorphic format, which was all but given up for dead less than a decade ago. For my part, though I am far from Struss’ or Rosher’s experience level, I have been witness to many of these same changes in technique, style and grammar. I came eagerly to digital photography over a decade ago and have shot feature films and shorts such as The Anniversary Party, Incident at Loch Ness, and The Architect in various digital video formats, with varying degrees of satisfaction. But my abiding love has been, and continues to be, film. I read with interest a statement in a recent American Cinematographer article that Avatar was not only Mauro Fiore’s first 3-D movie but also his first in digital video. What more compelling testimony can you have that it is the artist, not the medium, that is the creative entity? The complete essay is on his website. 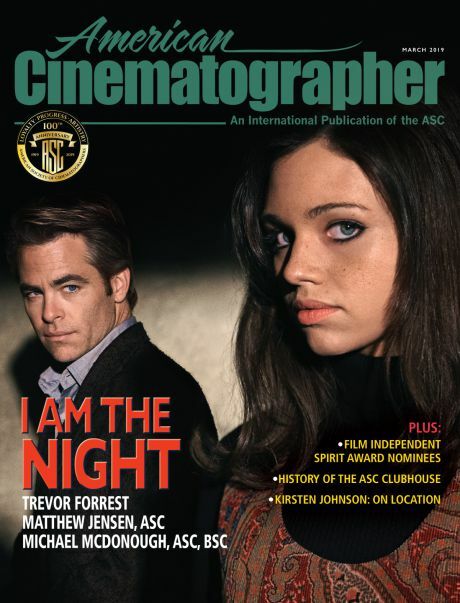 Under the heading “articles” scroll down to 2006, Film Comment “The Film Canon.” You will be able to download it as a pdf. Schrader’s header to the introduction says: “Movies are so 20th century.” I will be the first to admit that movies as I studied them in film school and that for the major part of my career I have been fortunate to photograph, are disappearing. The dramatic, humanist film rooted in real life experience, or some reasonable simulacrum of it, is slowly fading away. Those that are continuing to be made seem more and more to come out of an ever-shrinking indie world or from abroad, especially from developing countries that are still exploring their own poetic myth and identity—and of course, France. I often joke to students that most of the studio films I have photographed the past 30 years would be unlikely to be green lit today by the same studios that had made them. In a vicious spiral ever downward into new levels of mediocrity, the majors have largely abrogated responsibility to produce films for a broad-spectrum audience. The lower the bar is dropped toward the slithering testosterone impacted young male adults that seem to constitute the “target demographic,” the lower they clamor for it to drop; and the digital magicians of CGI visual effects have become ever more adept at manufacturing convincing explosions, car crashes, eviscerations, and gravity-defying punch-ups and shoot outs. Sure, there is room for crap like that; there always has been, even in the days when such fare constituted the bottom half of double bills and when this genre of film only had money enough for cheesey effects. Today, the effects and stunts are the budget. Even sadder, one of these 100 million dollar plus bloated behemoths prevents half a dozen human-scaled, dramatic films from being made. If you think I am exaggerating, talk to the young writer-directors who are being ushered out of studio executive suites with an assurance that their scripts are wonderful, but “too soft” for today’s market. It is not simply that such mature themed films do not now, and will likely never again, occupy the place of primacy that they did for nearly a century, nor even that of the smaller niche of “art film” that they had during the crazy and heady days of the Nouvelle Vague. New Wave camera car (2CV), “Adieu Philippine,” René Mathelin at camera. Photo by Raymond Cauchetier. It is that once the studios discovered the huge box office grosses to be mined from scientific marketing, there was no looking back. Whatever meager justification anyone may need to brand “adult dramas” as largely passé, he can find a slick validation in the often disappointing returns of many such dramas this past year. To no one’s surprise, a handful of tent-pole movies in 2009 were largely responsible for the highest grosses in the industry’s history. This is not to say that motion picture film, especially as an acquisition medium, will disappear proportionate to the increase of d-cinema screens—but its swansong does seem to be inevitable. Even Kodak corporate knows this and seems to be preparing for it. Is there any reason not to think that, like the Technicolor 3-strip system, film manufacturing itself will be sold off to China or India? But this whole game of guesswork is fraught with numerous traps. Many critics declared “wall painting” to be dead 30 years ago? A glance at Sotheby’s contemporary auction sales will disabuse you of that canard. However, in a narrower sense we are in a period of evolution that is unprecedented in motion pictures. Ever since the Lumière Brothers photographed a train arrival and workers exiting their factory, movies have been photographed on film. The number of such human scale movies made on film, especially those for television, is now shrinking. And there does seem to be a concomitant goal on the part of certain producers and studios to consign film print to the dustbin. Does anyone remember a photo from the Sunday New York Times about 10 years ago that showed gleeful studio executives holding metal film cans of release print (obviously empty, as they held them up to their shoulders with one hand) over a trash bin. The accompanying story trumpeted the imminent demise of film prints and the triumph of d-cinema. But, darn it, film print is still hanging on. Last October, Technicolor introduced its own 3-D film print process, projected with a proprietary lens system (over/under where the film frame splits). I have been told it is a retooled process from the 80s. And late last year Oculus 3D presented an alternate system that uses an algorithm that sets the images side by side and resolves them with an OculR device. I have not seen a demonstration of either system; but the intention is to bring 3-D to the huge number of cinemas that are not able or willing to invest in a digital 3-D projection system. Even James Cameron’s desire to have Avatar released exclusively in 3-D digital projection faltered. After a prognosis of imminent death ten years ago, film prints are still made by the thousands for theatrical release, and d-cinema’s golden horizon is still only looming. So we have, at least for the short run, (and certainly for years longer in the developing world) motion pictures released in both media. If the current stampede toward greater 3-D production and exhibition proves to be successful, we do have a certifiable “game-changer.” The new 3-D system is possible only with digital capture and projection. I am old enough to have seen at least a few of the 3-D movies made on 35mm film in the early 50s. I remember, of course, Arch Obler's Bwana Devil and House of Wax, directed by the monocular Andre de Toth. There were also the Westerns, Fort-Ti, with Indian arrows flying out at you by the hundreds, and the John Wayne starring Hondo (seen more widely, like Dial M for Murder, in 2-D), and the musical Kiss Me, Kate. Even though these films were widely viewed with polarized rather than the older anaglyph two color glasses, they caused eyestrain for many viewers. Another frequent complaint was dim projection from overtaxed projectors. A number of these releases had larger box office grosses in their flat release than they did in 3-D. This eventually sent a signal to the exhibitors and the craze died off. But what many film historians fail to note is that at the apex of the 3-D frenzy nearly 5,000 U.S. screens are said to have had 3-D capability. They returned to 2-D very quickly. In this video you see James Cameron operating the camera in “performance capture” scenes. These shots, as well as a discussion of the techniques of the “SimulCam” in the Avatar article in American Cinematographer, signal a revolution in how we create images for this new cinema. What will be the roles of the director of photography and the camera operators and the camera assistants? According to the AC article, Mauro Fiore was “brought in” only after some 18 months of performance capture shooting. And Fiore says, “About 70 percent of the movie is motion capture.” He does emphasize “the actual look of the film was yet to be created." That leaves, for me at least, confusion about how detailed virtual imaging programs such as Autodesk MotionBuilder are in establishing the “look” of the movie, and what the role of the traditional cinematographer may or may not be in achieving that look. 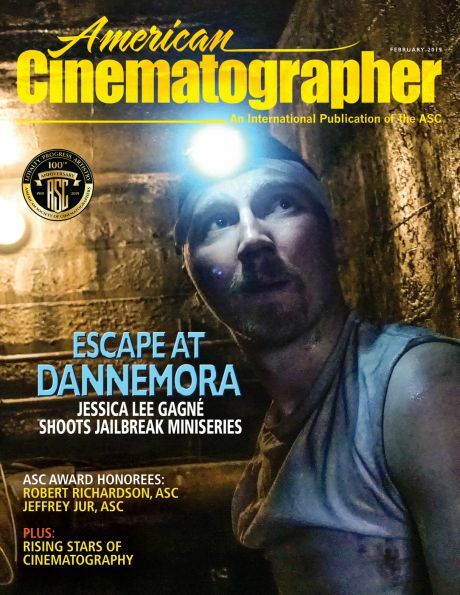 Clearly, we are in unknown territory here and I would not be surprised if the AMPAS cinematography governors or the Sci-Tech Committee soon discusses how to apportion credit for the cinematography Oscar. In a production that has substantial motion capture on a green screen stage, what is the balance of contribution among the cinematographer, the virtual production supervisor, or the visual effects supervisor? It seems to me that a guideline for this type of movie could be how the production and post-production sound mixers have long shared their Academy Award. Should there be a second cinematography award for movies that are not created in a “virtual” world, that represent cinematography as we have known it for 100 years? At one time there were separate Oscars for black and white and for color cinematography. Films that explore the classic questions of the human condition and of intimate relationships seem to have little need for most of this digital technology. In fact, its use can sometimes compromise the photographic integrity of the film. Several DI colorists have lamented to me how they are instructed by producers to “jazz up” the look of a non-visual effects movie in the DI suite; other colorists see themselves as the post-production visual star that claims the movies’ digital “files” as raw data to be fully realized only in the DI suite. Their fingerprints (call it style if you will) start to make the work of many cinematographers look much the same. But, thankfully, most colorists still believe that the execution of the cinematographer’s intentions is their goal. Sadly, the growing on-set mantra of, “Don’t worry, we’ll fix it in the DI” can also be a cinematographer’s abrogation of his own on-set responsibility as an artist. The creative energy displayed during on set lighting and shooting is inherently different from that called up months later in the dark calm of the DI suite. As groundbreaking as Avatar promises to be for the technological future of cinema, the movie itself descends in the last act into a futile ritual that is little more than an ultra high energy punch-up and shoot out à la Terminator. Its visionary creation of the planet Pandora with its wondrous hanging mountains and bioluminescent night jungle are the fruit of Cameron’s glorious Imax filmed deep-sea exploration documentaries of the past decade. In this vision and in the metaphor of the interconnectivity of all organic life, Cameron approaches the metaphysical ecstasy of Kubrick’s 2001. This is what I want to remember about Avatar, not the overwrought weaponry and bloodbath with which it concludes. Several months ago Vince Pace showed Rob Hummel and me a 3-D short film he had made of a ballet company in performance. Its sense of close presence and immediacy, with the camera moving gently through the corps de ballet, offered a glimpse into the future, a new way to photograph dance. I immediately wondered what the Metropolitan Opera HD Live broadcasts would look like using this technology. Clearly, we are on the cusp on new imaging possibilities. And Avatar, despite its box-office clout, is not necessarily the only or the best model. But you may have a different perspective on all this. If so, I would love to have you post a comment.